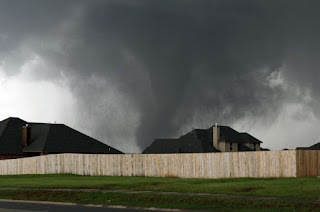 Last week, my friend and fellow author Shelly Arkon came up with a wonderful, generous idea: donate her ebook royalties for the summer to the Red Cross to help the victims of the Moore, Oklahoma tornadoes. I was so moved by her gesture, I decided to follow suit. It was, I believed, the right thing to do. I posted my intention at Facebook and here on my blogs. I believed other authors would follow suit. I was surprised--and frustrated--by the lack of comments, even from my regular readers. Did no one care about helping fellow human beings in need? How could anyone be indifferent to this situation? But the truth is that when an author--or anyone else, for that matter--publicly announces their intention to give their entire income for any period of time to a good cause, it's going to be met with a degree of skepticism by almost everyone except those who know the person making the announcement very well. And with good cause. How many times have such announcements been made just to increase the "donor's" own income? There was an incident, back when Shelly, William and our friends were meeting on the Writers Digest message boards--an author of biographies had allegedly donated her royalties to some cause related to one of her subjects. But no one could find any proof the donation had ever been made. This sort of thing is far too common. A change in plan was needed, and Authors for Oklahoma was created. Shelly, William and I launched a Facebook page. Shelly got permission to use the Red Cross banner on the page and activated a Crowdrise application that would enable people to donate directly to the Red Cross from the page. We approached our fellow authors for book donations. We're creating baskets of books and ebooks to be raffled, the proceeds to go to the Red Cross. A $10 donation buys a chance to win the book basket of your choice. We hope you'll buy a ticket to help a good cause and win some good books! Awwwww great idea, I don't have facebook but I have already made a donation the Central Oklahoma Humane Society. I still support a Animal shelter in Japan and one wildlife refuge in Australia because of their disasters. I feel the support the relief group get lots of attention but I feel the animals are forgotten. And in some way the most needed and important connection after finding family is ones pets and animals. I feel the same way, Gayle. I looked into what animal welfare groups might be working in the area. I'd donate to any of them--except the Humane Society. I wouldn't give them a dime. I do understand your problems with the Humane Society I have the same problem with The Red Cross. If I could have I would have looked up a more local group but another blogger named this group so I donated. When one lives so far away you have to depend on locals to help you out. I gave during the Japanese Earthquake to several local groups plus an UK group the sends "a home in a box. We did make note of the local public school board as well taking donations, since the schools there were hard hit. There's a link for that up on the page. We might have to pin it though, so it's readily found. And the libraries. That was also a great idea. I think you guys are doing a great job here and are determined to get the ball rolling in the right direction. I hope you get a good response this time. I'm involved in many charities here in Oz luckily the WA folk are so generous. There have been drives locally that have done great, Grace. They've loaded trucks with donated materials to be hauled to Moore. It was the same when a tornado did serious damage in Joplin two years ago. What you see as indifference is more likely the fact that many of us have already given to folks in need through other groups. Best of luck with your group's efforts. That's true, Lynn. I think I was mostly surprised by the lack of comments. The donations are picking up now. We'll probably be starting the raffles in a few weeks. I had never even thought of that possibility, but now you point it out it makes a lot of sense. It's sad that it happens and creates skepticism for the "good apples" who are doing their best to help others out! That's a great idea, good for all of you for being so thoughtful and generous. It's a lovely thing you are doing.